Please join us on Tuesday, March 19, 2019, 5-6pm, for the Friends membership meeting. It was a great year for Outreach with membership skyrocketing and new folks stepping up to help out at events. 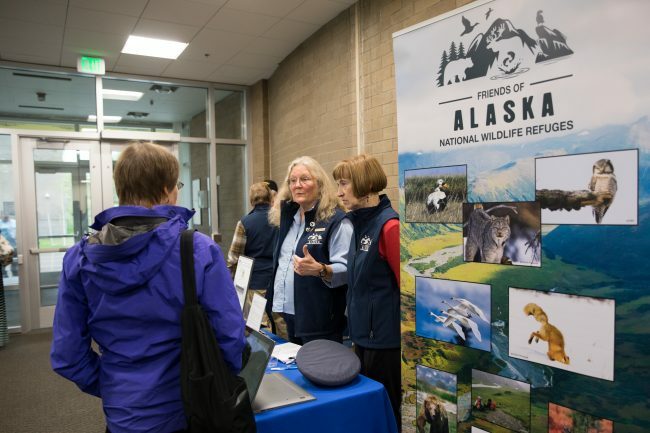 From Fairbanks to Homer and Anchorage to Soldotna we staffed outreach tables at 9 events spreading the word about Refuges and Friends and always gaining at least a couple of new members. 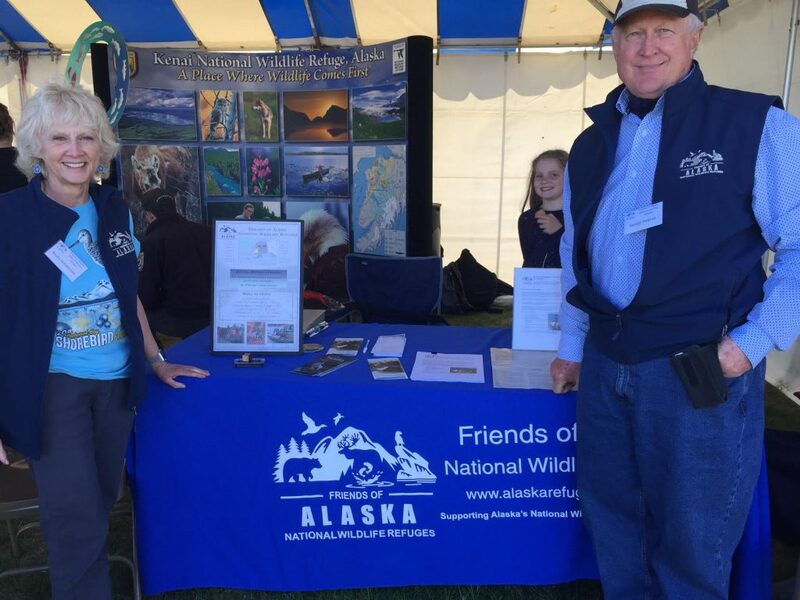 Sportsman Show, River Festival, and even the 75th Anniversary of the Battle of Attu – we were there talking up Friends. The Shorebird Festival which is co-sponsored by Friends brought in nearly 70 new members. It is always fun to talk to the public about the work Refuges and Friends do, and we had new tools to do that with this year. With the help of a grant from the National Fish & Wildlife Foundation, we were able to buy identifying vests, a new pop-up display, a tablecloth, and a screen to show images all of which gave us a much more professional look. 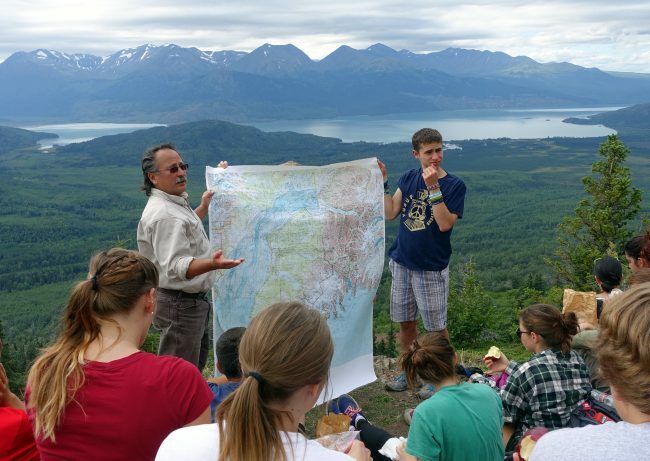 We put an outreach emphasis on the Kenai-Soldotna area this year to build support for the Kenai Refuge. 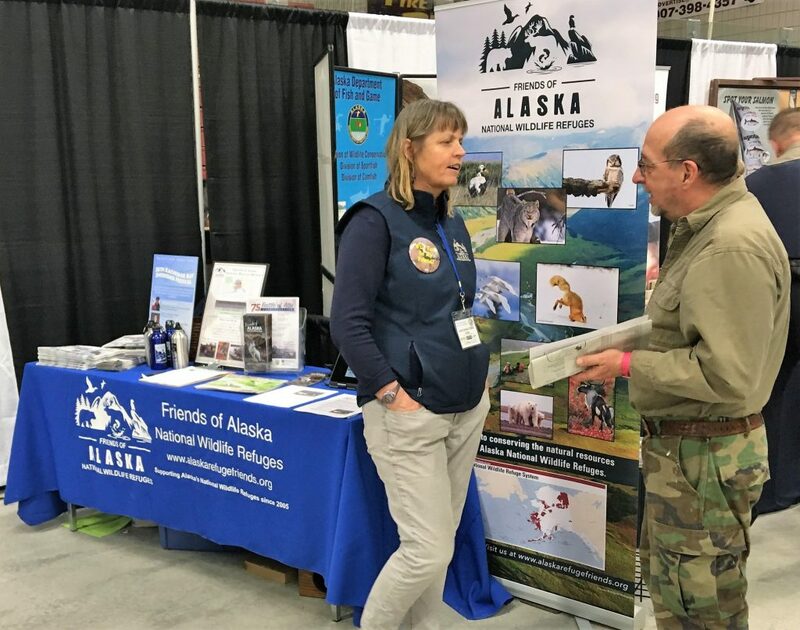 We started off in April with the Kenai Peninsula Sportsman Show and went right through Wildlife Refuge week in October. We now have 25 current members in that area and many willing volunteers. A good start for sure. We know our members want to get out on the refuges so in the fall of 2017 we hatched the idea of Refuge Discovery Trips with a Kenai Refuge canoe trip. 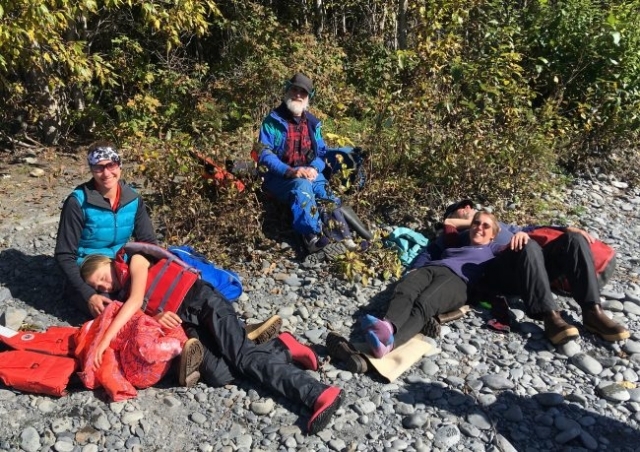 This year we took that up a notch with 12 Friends journeying to the Tetlin Refuge on the Canadian border for 4 days of learning about the refuge, volunteering and best of all a 2-night canoe trip. 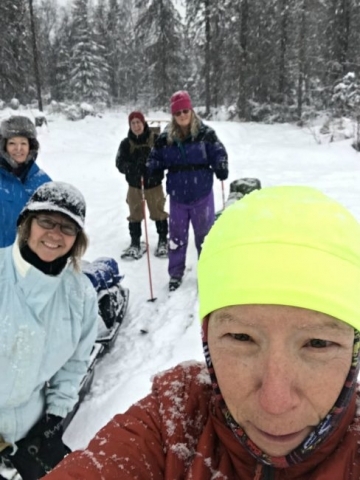 Participants came from the Kenai Peninsula, Fairbanks, Anchorage, and Copper Center to experience the Tetlin and see how we can do more for them. With good weather (no bugs), lots of waterfowl, and great company it was a very fun time on a beautiful refuge that none of us had experienced before. 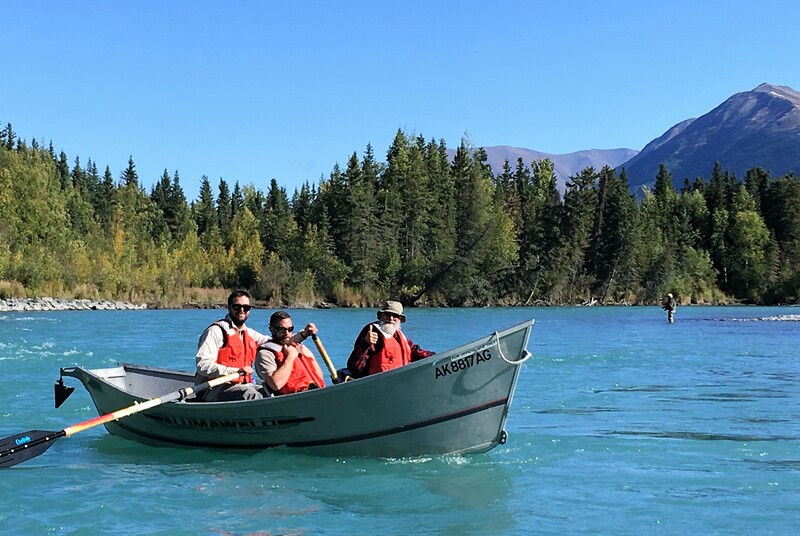 We quickly left all signs of civilization behind and saw no other people after launching the refuge canoes on Desper Creek at the Alaska Highway boat launch. Tetlin is very accessible and virtually unused wilderness. We also camped a night in their lovely campground at Deadman Lake and spent time at the refuge’s border visitor center, the first place highway travelers stop when entering Alaska. 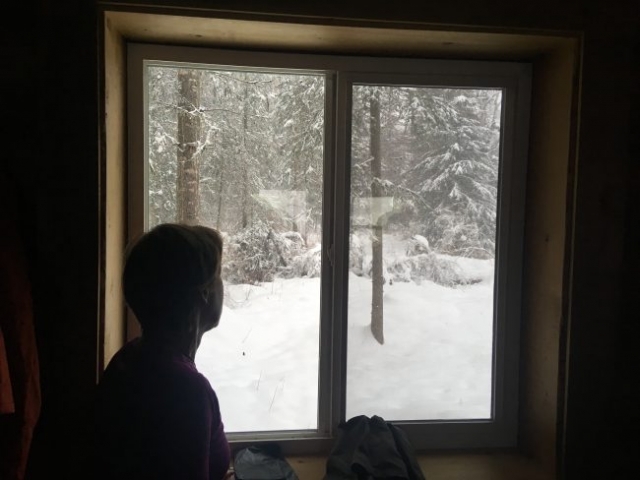 Meeting with the refuge staff was a key part of the experience because out of that has come so many more ideas for trips, volunteer projects and supporting the refuge with a grant application. We were all shocked that a refuge the size of Rhode Island has only 6 permanent staff. They need help. Stay tuned for more trips to the Tetlin as the refuge staff would like our help with signing a canoe route, demolishing old buildings on newly acquired highway frontage and helping with their 4th of July. 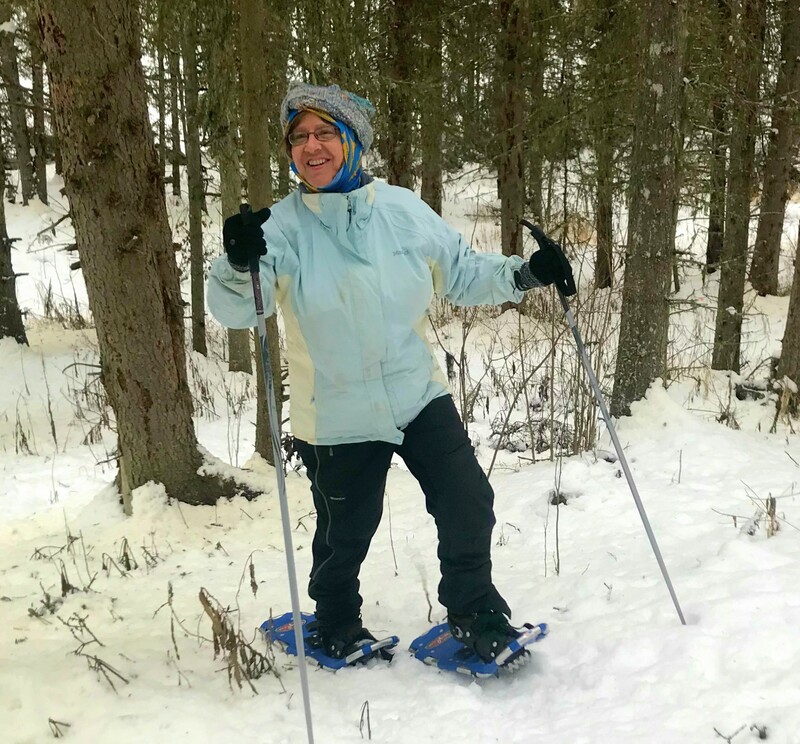 These would all be great opportunities for Fairbanks Friends as Tetlin is your drive-to refuge and one of only 2 in the state that is road accessible. 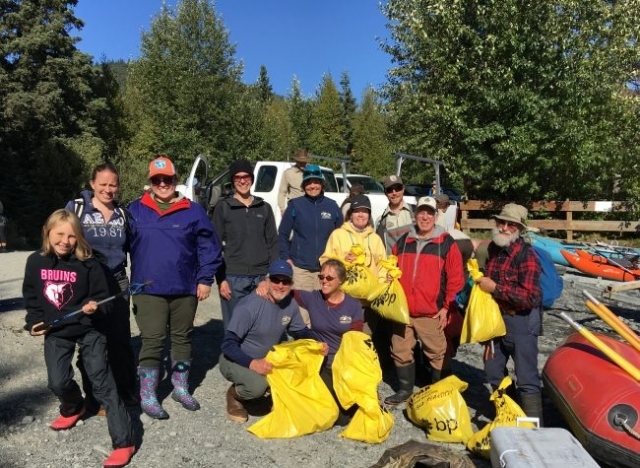 Kenai is our other road accessible refuge, and we took advantage of that easy access with a September trip to help the Alaska Flyfishers clean up the Kenai River. 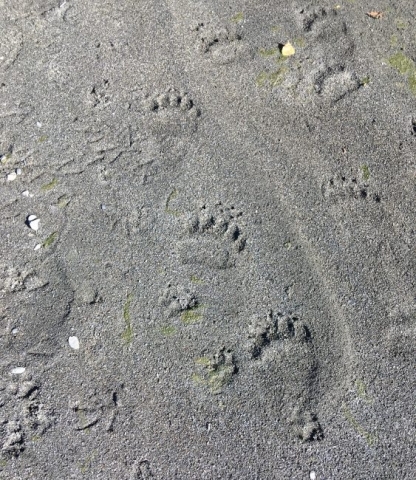 We got to float the Kenai with refuge staff cleaning beaches and admiring bear tracks on a bright and sunny day. 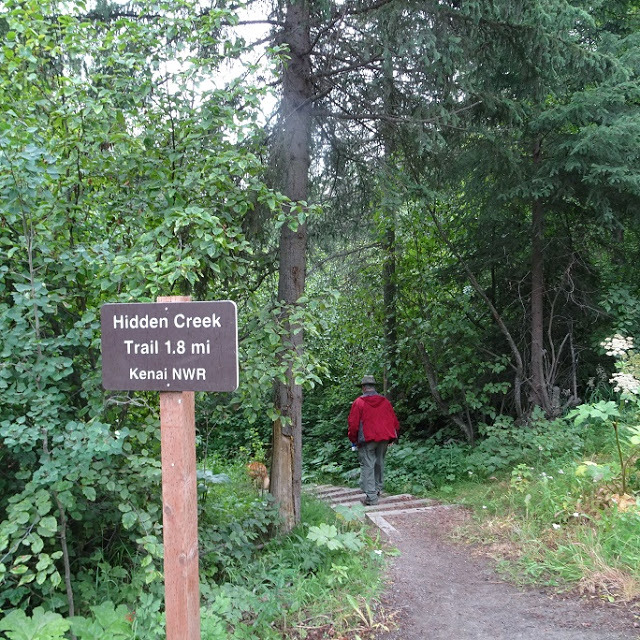 The next day, we hiked the Hidden Creek trail to lovely Skilak Lake. 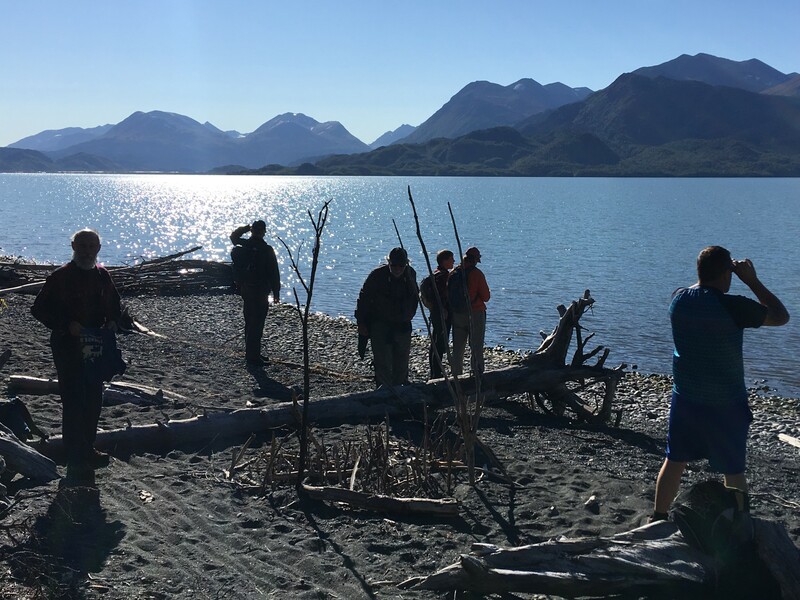 With the easy access, rich wildlife and varied experiences possible on the Kenai Refuge, we will always host at least one Discovery Trip there annually. 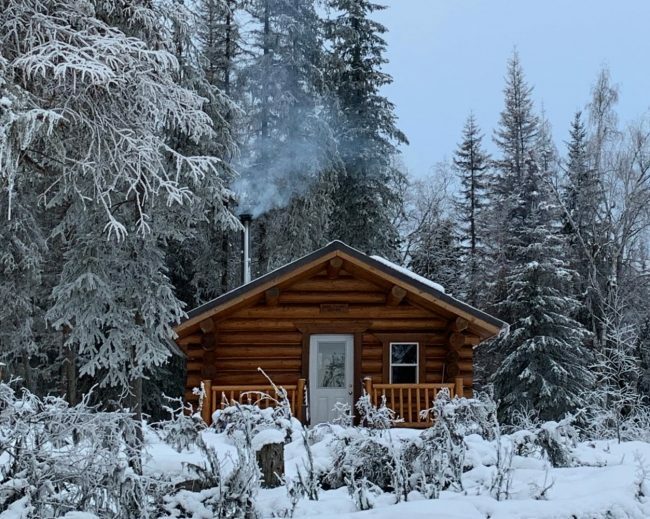 Next up is a ski in cabin trip on the Kenai for the first weekend in February (see description above). For next summer, more Kenai and Tetlin trips will likely happen but we are mulling expanding to off-road refuges with perhaps a trip to Adak on the Alaska Maritime Refuge or possibly Yukon Delta. These trips will be announced in this newsletter and on our Refuge Discovery Trip webpage. 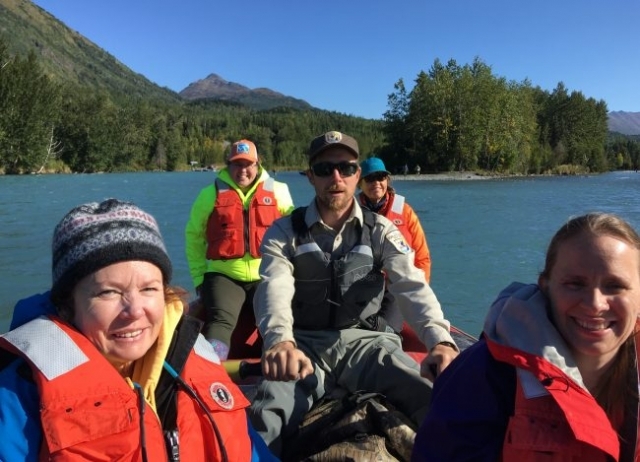 Contact Outreach Coordinator Poppy Benson at poppyb.ak@gmail.com with your ideas or questions about 2019 Discovery Trips. National Wildlife Refuge Week, observed the second full week of October each year, celebrates the great network of lands and waters that conserves and protects Americans’ precious wildlife heritage. The National Wildlife Refuge System, managed by the U.S. Fish and Wildlife Service, provides vital habitat for thousands of native species, including sandhill cranes, bison and sea turtles. 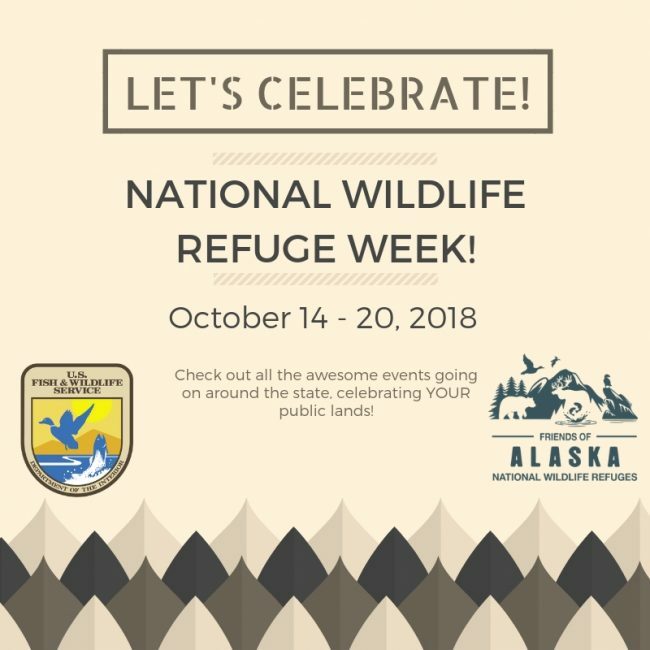 Refuge Week is a wonderful time to discover the outstanding recreational opportunities available on national wildlife refuges. Tens of millions of Americans visit refuges each year to enjoy fishing, hunting, hiking and wildlife watching. Wildlife refuges also improve Americans’ comfort and safety by curbing flood risk and wildfire damage, providing cleaner air and water, and supporting local communities. Refuges generate $2.4 billion per year and more than 35,000 jobs to regional economies. The Refuge System includes 567 national wildlife refuges and 38 wetland management districts covering more than 100 million acres of lands. 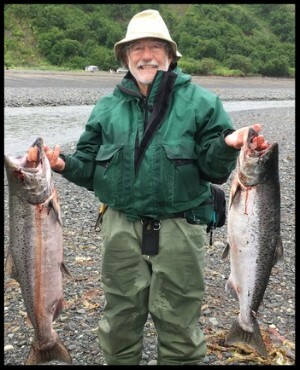 6pm Talk, Reading, Book Signing and Reception: “Fact, Fable, and Natural History; Writing about the Aleutians with Ray Hudson” – Enjoy a talk by author and long time Aleutian educator Ray Hudson. Hudson lived in Dutch Harbor for more than 20 years and knew the old generation of Aleuts documenting their culture in Moments Rightly Placed. Hudson will speak and read from his newest book, Ivory and Paper: Adventures In and Out of Time, followed by a book signing with an opportunity to purchase books and a reception hosted by Friends. 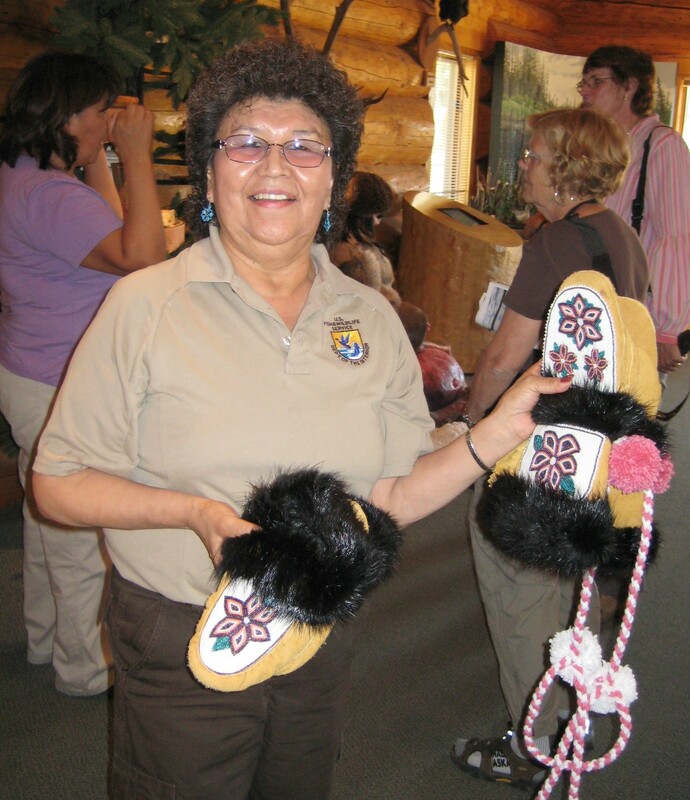 4 to 6 pm, Art Talk: A week (and More) on Beaver Creek Wild and Scenic River- Morris Thompson Cultural and Visitor Center. Artists in Residence Margo Klass and Frank Soos will share their art and experiences from a float trip on Beaver Creek last summer. A portion of their journey was on Yukon Flats National Wildlife Refuge and the event celebrates both National Wildlife Refuge Week and the 50th Anniversary of the Wild and Scenic Rivers Act. Soos is a former Alaska Poet Laureate and Klass is a mixed medium artist who often incorporates fish skins in her work. A reception sponsored by Friends will follow. 2 to 4 pm, Super Saturday – The Fairbanks Children’s Museum. Free with museum admission ($8) Kids will make nature cards, explore furs and skulls, jump in a canoe and learn about the Arctic Refuge. Friends is funding the supplies. Noon-1pm: Opening Reception. Stop by our Visitor Center to enjoy coffee and cookies, meet our Refuge managers, and check out a photography exhibit of landscapes by Jeff Jones and wildlife by the local Kodiak Camera Club. 10:30 am – 11:15 pm: a special refuge themed FUN program for little nature lovers and their families. 5 pm-7 pm: Nature Journaling with Shelly – explore nature with your creative side! 2pm-3pm Movie and popcorn! 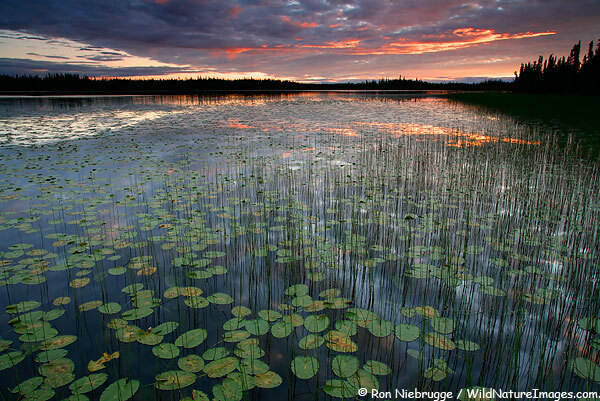 Take a visual tour through Alaska Wildlife Refuges with a series of short films. On the stunning, golden weekend of September 7, 14 Friends and 3 friends of Friends took part in the Kenai River Clean-up sponsored by the Alaska Fly Fishers , the Kenai Watershed Forum and the Kenai National Wildlife Refuge. About 60 people in all helped in the effort to clean beaches and roadsides around the Russian River Ferry. 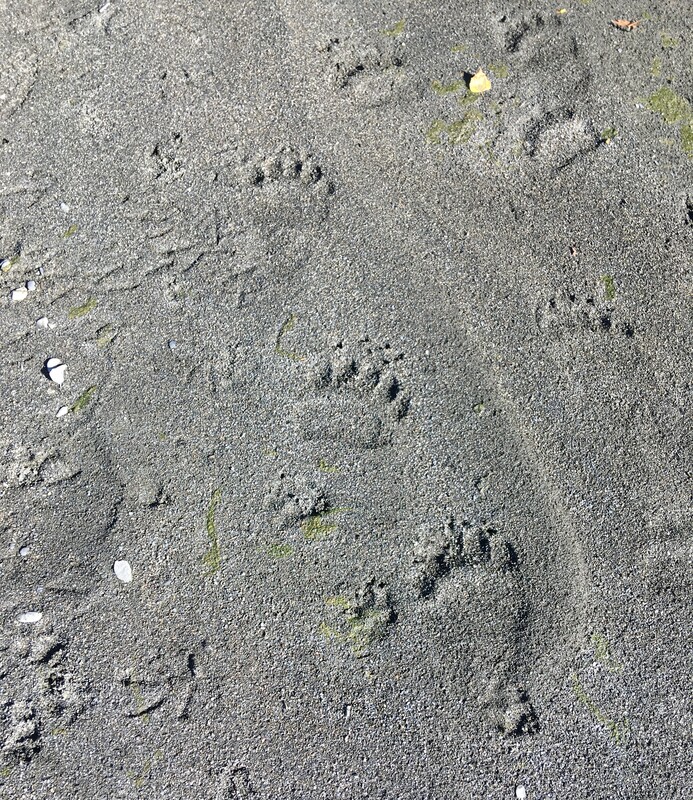 The Friends concentrated on Refuge beaches as everything downstream from the ferry is in the Kenai National Wildlife Refuge. 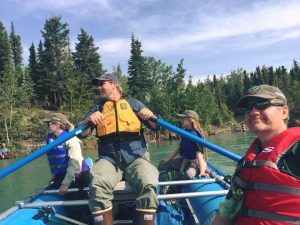 We floated the river in two refuge rafts and a drift boat manned by Kenai Refuge staff. 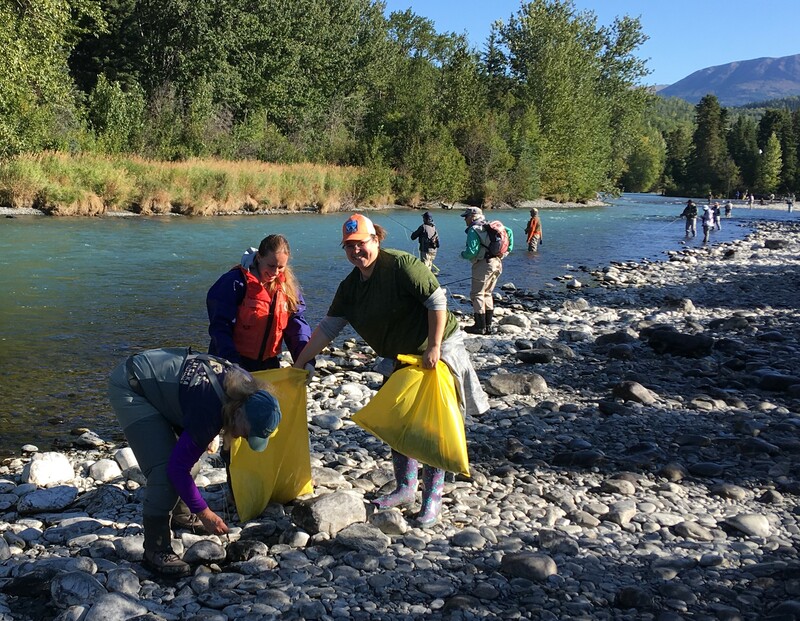 Along the way, particularly on the “combat fishing” beaches across from the ferry, we picked up loads of monofilament line, sinkers and hooks, all potentially deadly to wildlife and all likely to be swept downstream into the refuge. Being on the river in such beautiful weather would have been reward enough but the Alaska Flyfishers know how to have fun. There was free food all day, door prizes, and three blue grass bands playing in the evening. We all camped right at the Russian River ferry where events centered around a big event tent with great silver salmon fishing right on our doorstep. 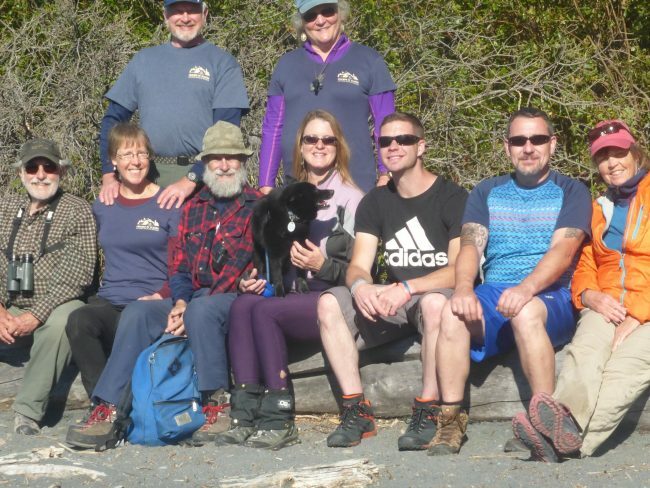 On Sunday, we sponsored a hike on the Refuge’s Hidden Creek trail which leads to a sunny beach on Skilak Lake. 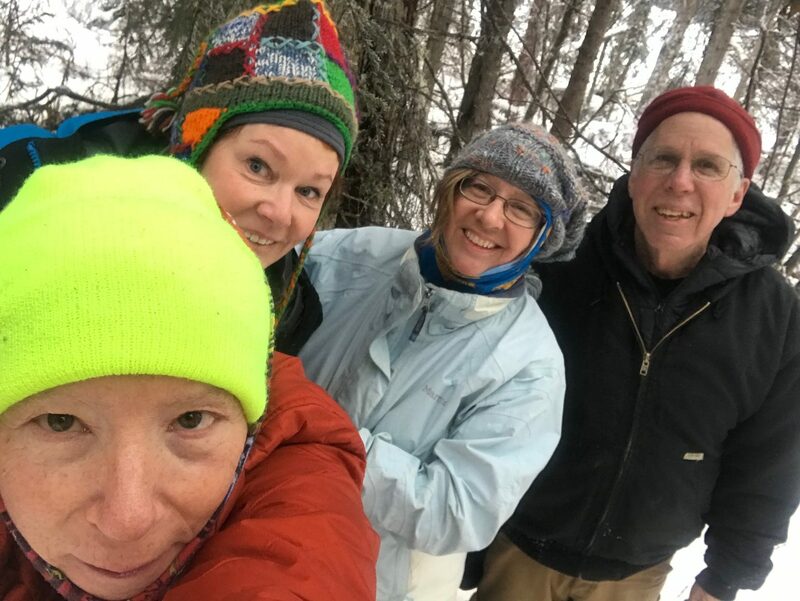 We couldn’t keep our hands off of the high bush and low bush cranberries that lined the trail and several of us came home with bags full. 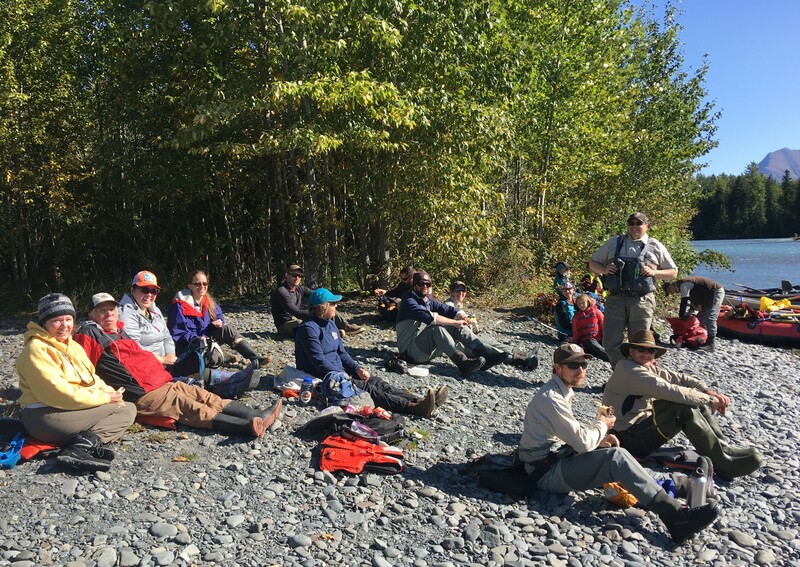 And if all this wasn’t good enough, we recruited three new members, got an offer to speak at an Alaska Flyfishers meeting and bonded with Refuge staff members and our fellow Friends from Homer, Soldotna, Sterling and Anchorage. The Alaska Flyfishers want us to be a full partner next year and I think this should an annual event. Join us as we explore Tetlin National Wildlife Refuge over Memorial Day Weekend, Friday through Monday, (4 days) May 25-28. 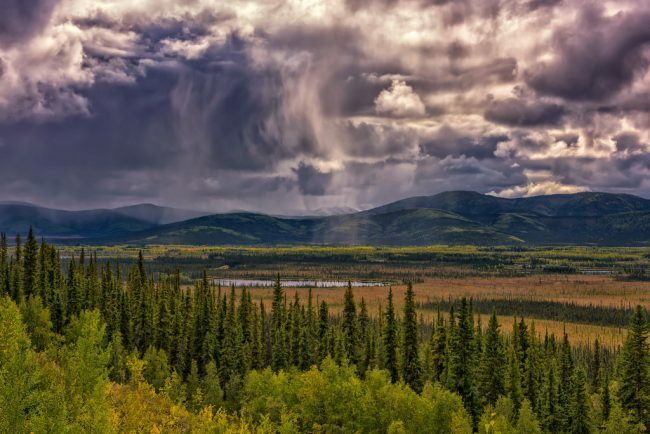 Tetlin is an undiscovered wilderness yet it is easily accessible from the Alaska highway. 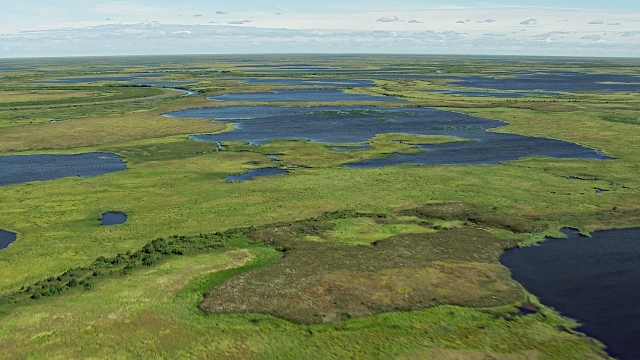 Tetlin is birdy, with a vast system of lakes and rivers supporting nesting birds and the most important flyway to central and northern Alaska. Enjoy the height of bird song season while camping, canoeing and exploring this seldom visited country with Friends. Registration is now open and limited to the first 12 applicants. Friday morning we will meet at 9 am at refuge headquarters in Tok for a meet and greet and light breakfast with refuge staff. We will learn about their challenges and the marvelous resources of this migratory bird corridor. Afterwards we will help them clean up the section of highway the refuge has adopted. 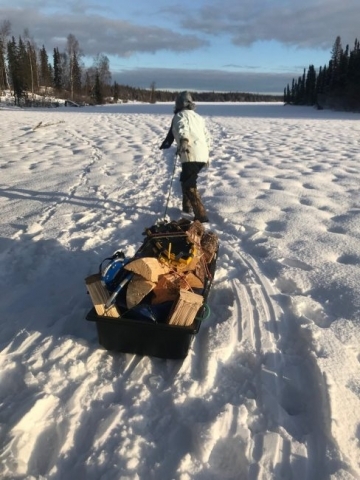 Then we will move on to the refuge’s Deadman Lake Campground (pictured below) and set up camp for a night and check out the Hidden Lake Trail and the old Seaton Recreation Area (site of the former Seaton Roadhouse) as time allows. There will be an opportunity for an evening canoe on Deadman Lake to enjoy birds and warm up our canoe skills. Saturday, we will visit the Tetlin Refuge Border Visitor Station, meet their Native staff, and learn how they share their perspective and culture. We will also visit Seaton Roadhouse site and the trapper cabin if we haven’t already done so. 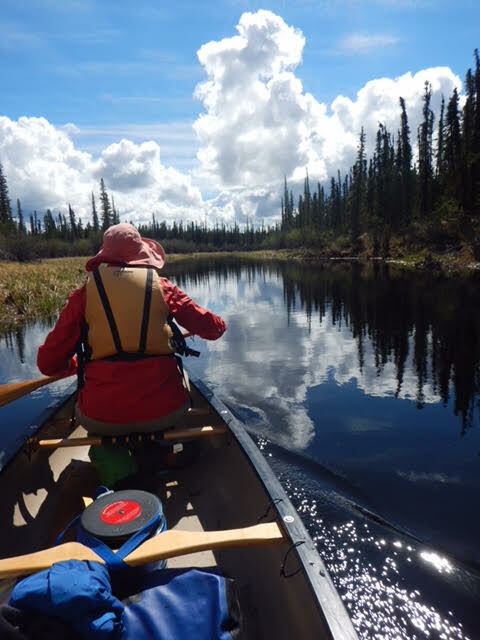 Saturday afternoon, we will launch the refuge canoes on Desper Creek for an easy, three mile paddle to a campsite amidst numerous lakes providing perfect habitat for nesting waterfowl, swans, rusty blackbirds and warblers. Camping for two nights will give us all day Sunday to explore the surrounding lakes. Paddling out Monday against the slow current of Desper Creek should not take more than three hours putting us back at the visitor center by early afternoon for our farewells and the drive home. Desper Creek is a very slow-moving creek suitable for beginners. We may have to lift canoes over beaver dams depending on the water level. For more information about the Tetlin Refuge check out their webpage or on Facebook. The trip limit is 12 and the minimum age is 16. You must be a current Friend to participate but you can join here. Poppy Benson, poppybenson@alaskarefugefriends.org; (907) 299-0092. 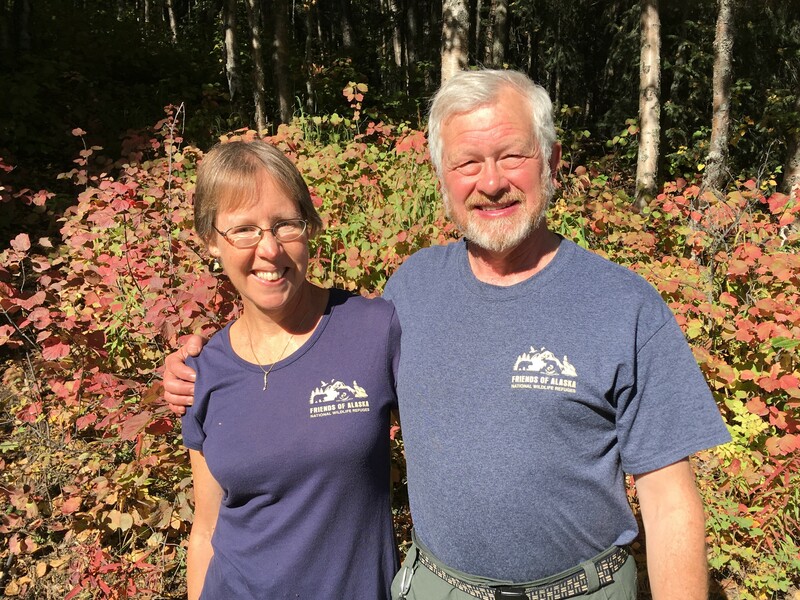 Poppy has had 30 years of experience in Alaska and more than that in canoes. Poppy is Wilderness First Aid certified and has taught canoeing. She is also a Friends Board Member. Dave Schroyer, david_schroyer@hotmail.com; (907) 240-1375. Dave was raised in Alaska with life long experience canoeing, hunting, birding and exploring all over the state. Neither Poppy nor Dave have ever done this trip and both are looking forward to exploring new country and a new refuge with you. Cost: $60 for 3 dinners and 3 breakfasts in camp plus a welcome coffee and continental breakfast Friday morning. Bring your own lunches and snacks for Friday through Monday. Contact the trip leaders if you have dietary restrictions. Equipment needed: Your own personal camping gear plus bear spray. Contact the trip leaders if you don’t have a tent. Canoes and life jackets will be supplied by the refuge. If you would rather bring your own let us know. We will not be portaging other than the possible beaver dam. Also bring binoculars and fishing gear if desired. Equipment list will be furnished to participants. Weather, Bugs and Bears: Average lows for this time of year are near freezing with highs in the high 60s and little rainfall. Bring a sleeping bag good to below freezing, good raingear – jacket and pants, and waterproof knee-high boots. Gortex fishing waders with wading boots are an option to stay dry and allow walking into lakes and creeks when launching canoes. Refuge staff assure us that bugs aren’t that bad especially not this early. None the less Poppy is bringing a bug jacket. This is also not noted as a “bear-y” area but it is the season for bears to be looking for food so please bring your own bear spray and a holster system that will allow you to wear it. Camping in Tok before or after. The refuge staff has volunteered an empty space on their grounds for Thursday night. Other possibilities include state recreation areas or B & Bs or motels in Tok. 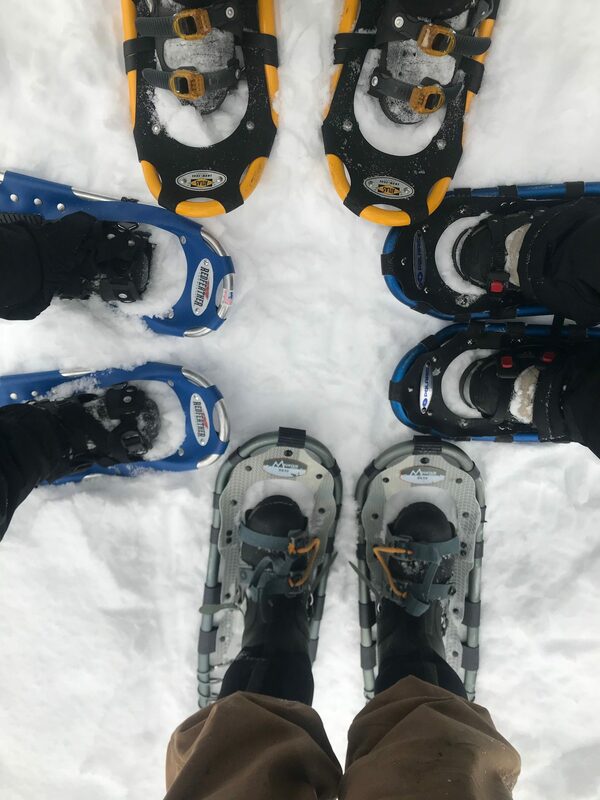 Eagle Trail State Recreation Site is about 16 miles west of Tok towards Anchorage and Moon Lake State Recreation Site is 15 miles north of Tok towards Fairbanks. How to sign up: Trip will be limited to the first 12 to complete the registration, including the $60 fee. Please fill out the registration form below. Registration payment options will be presented after the form is completed and submitted. All participants who are not yet signed up as Fish and Wildlife volunteers will be required to fill out a Volunteer Agreement at the Friday meeting. Prior to the trip, all participants will be required to sign a liability waiver which is currently under development. This trip is full; registration is closed. 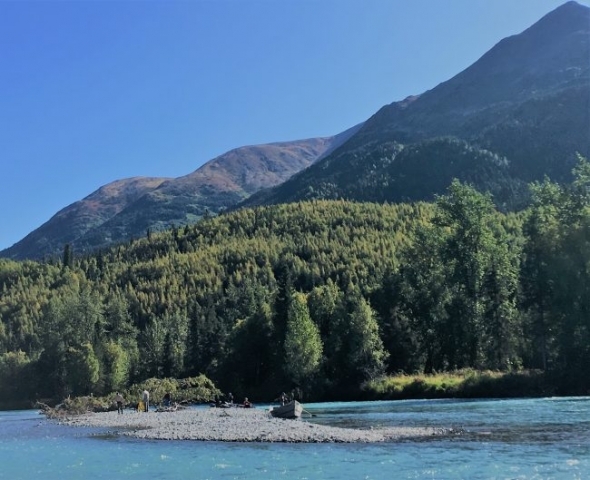 On January 31, 2018, Trustees for Alaska filed suit in Anchorage Federal District Court on behalf of the Friends of Alaska National Wildlife Refuges and eight national environmental groups. 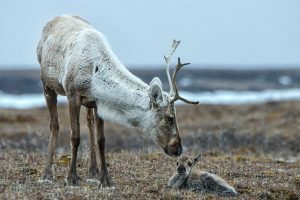 This lawsuit challenges the legality of the land trade that would allow the construction of a road through the biological heart of designated wilderness in the Izembek National Wildlife Refuge on the Alaska Peninsula. The complaint alleges that this land trade by the Secretary of the Interior, which would trade up to 500 acres of designated wilderness in the ecologically sensitive Izembek Isthmus for non-refuge lands owned by the King Cove Corporation, violates the Alaska National Interest Lands Conservation Act and the National Environmental Policy Act. It also alleges that Secretary Zinke failed to perform the consultations required by the federal Endangered Species Act. In addition to these violations, this would be the first time that congressionally-designated wilderness lands would be removed from the National Wilderness Preservation System, setting a precedent that would threaten all protected wilderness areas and all federal public lands in our nation. 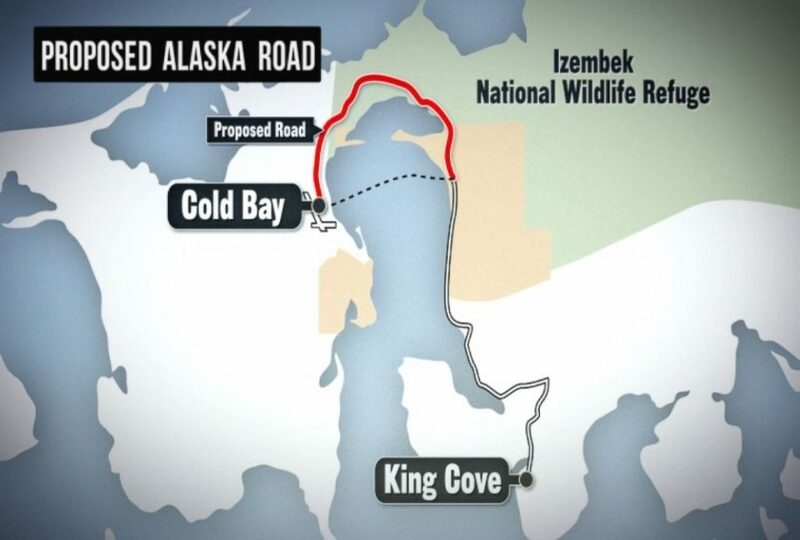 This lawsuit is the latest episode in a 35-year campaign to build a road that would connect the fishing village of King Cove to Cold Bay, which has a major airport with direct service to Anchorage. Although road proponents claim that the road is needed for medical evacuations during frequent intense storms, a 30-year paper trail reveals that two Alaska governors, Senators Frank and Lisa Murkowski, and the Aleutians East Borough have promoted the road for commercial purposes to haul fish and workers for the largest cannery in Alaska that is owned by Japanese Peter Pan Seafoods. During this campaign, the 900 residents of King Cove have received at least $50 million federal dollars for upgrades to their health services, 17 miles of road with two hovercraft launch facilities, and the purchase of a $9 million hovercraft that performed flawlessly in 32 medical evacuations. They have since abandoned the hovercraft and refuse to consider other reasonable transportation alternatives evaluated bu the U.S. Corps of Army Engineers. Completion of the proposed road would cost at least another $20 million federal dollars and require extremely expensive annual maintenance that would likely fail to keep the road passable during winter storms. The former local medical director for Indian Health Services has stated that attempting to travel the proposed road during winters storms would jeopardize the lives of patients and emergency personnel. Beginning in the mid-1980s, the U.S. Fish and Wildlife Service completed three major scientific evaluations and environmental impact studies, all of which concluded that the proposed road would do irreparable harm to the habitat and wildlife of the internationally-recognized Izembek Refuge. The latest evaluation was the environmental analysis required by the inclusion of the proposed land trade in the 2009 Omnibus Public Lands Management Act. Following a 4-year, exhaustive scientific study, the U. S. Fish and Wildlife Service concluded that the proposed road would cause unacceptable and irreparable damage to habitat and wildlife and was not approved. This decision was upheld by then Secretary of the Interior Sally Jewell. A federal lawsuit by the State of Alaska and local interests against the Secretary’s wise decision was eventually dismissed by the Court. 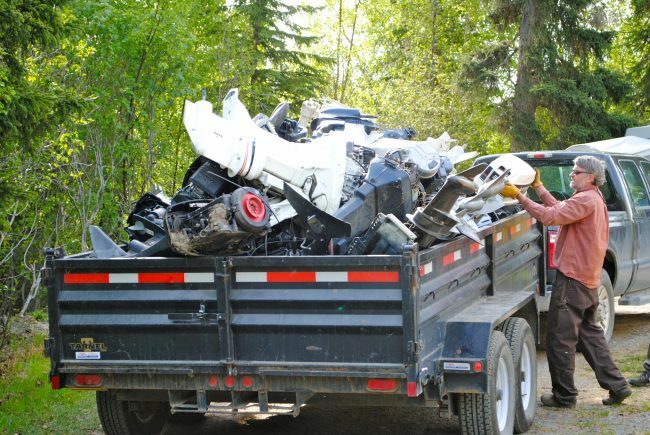 Friends of Alaska National Wildlife Refuges and other environmental organizations had participated as intervenors on behalf of the the U. S. Fish and Wildlife Service and the Secretary in this successful effort to prevent this unnecessary and destructive road. 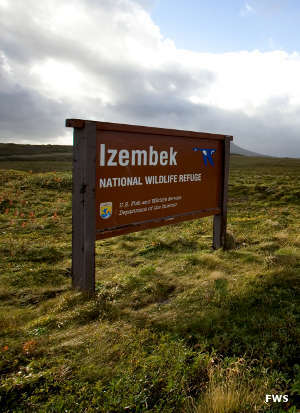 Along with other organizations, we have taken the latest step in the decades-old battle to prevent the construction of an unnecessary, costly, and environmentally destructive road that not only threatens the Izembek National Wildlife Refuge, but would set a dangerous precedent for all of our precious public lands.